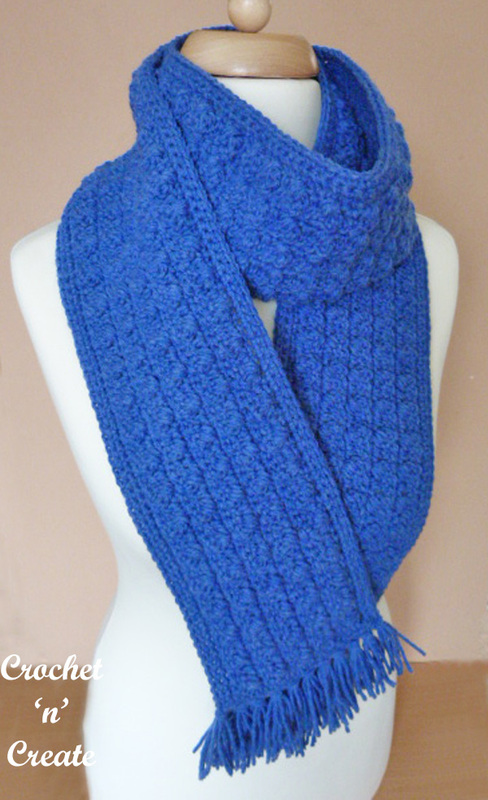 The scarf sample was made in Lion Brand Pound of Love yarn in color Denim. 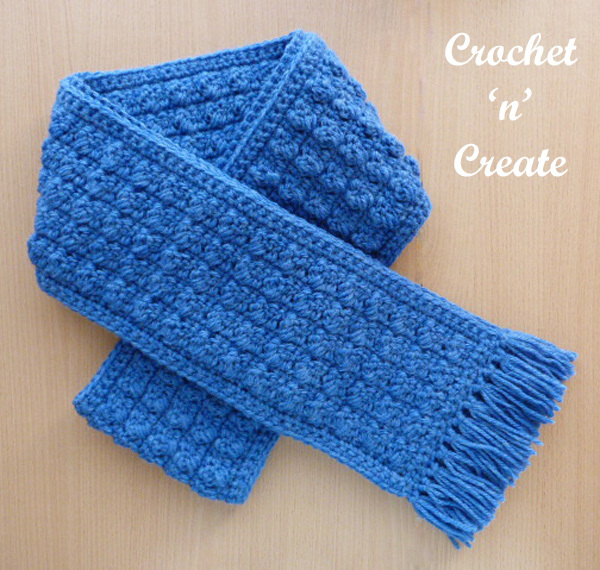 This lovely stylish scarf uses basic crochet stitches. 3rd Row – ch1, 1sc in base of ch1, 1sc in each cl and dc to end. Turn. 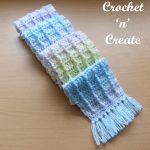 Border – ch1, 1sc in base of ch1, 1sc in each sc across, work 3sc in the corner, 15sc evenly in row ends down first side of scarf, 3sc in corner, 1sc in each ch along starting ch edge, 3sc in corner, work 15sc evenly in row ends up second side of scarf, 1sc in corner, sl st to first sc. Turn. 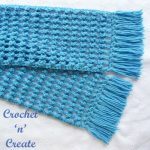 Work 1 more row of 1sc in each sc around scarf to end, working 3sc in each of the corners and slip stitching to first sc at the end of row. Fasten off. 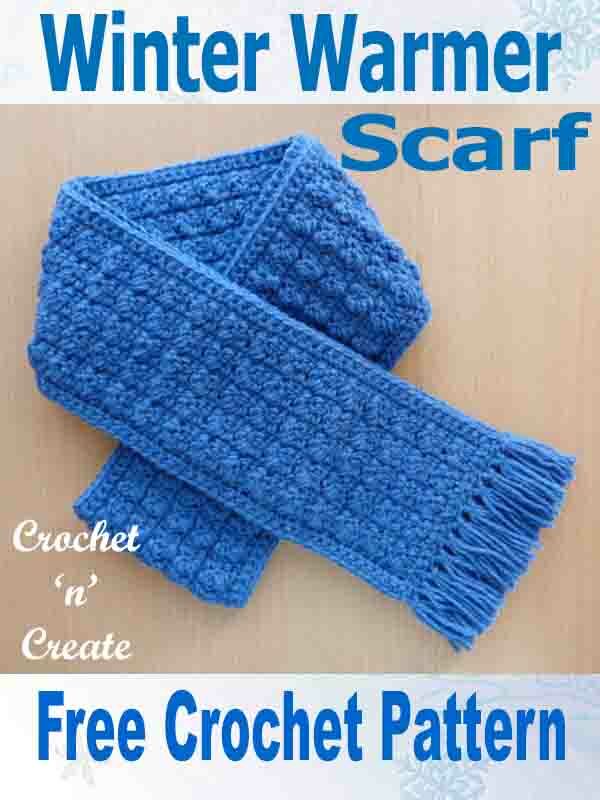 The written instructions and pictures for this warm free crochet pattern-winter warmer scarf are copyrighted to crochet ‘n’ create © 2018. 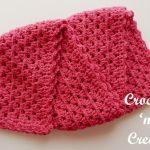 You are welcome to sell the finished products made from the free crochet pattern-winter warmer scarf, I just ask that you use your own pictures and put a link back to crochet ‘n’ create. 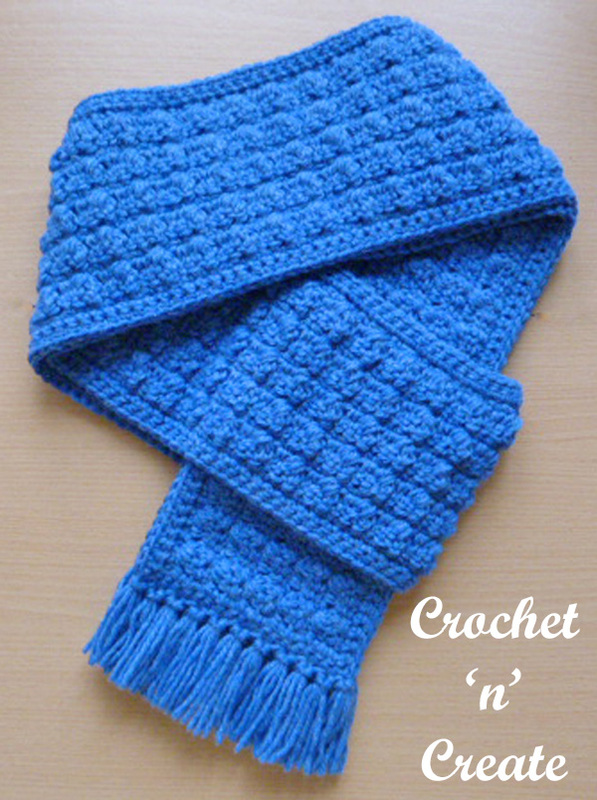 DO NOT share the written instructions for this free crochet pattern-winter warmer scarf.